Diana Margaret Slifka, age 73, of Twin Lakes, passed away on Tuesday January 15, 2019 at her home in Twin Lakes, CO after an abrupt battle with Ovarian Cancer after being diagnosed in September 2018. Mrs. Slifka was born October 25, 1945 in Culver City, CA. Mrs. Slifka grew up in Denver, CO and found the mountains when she met her husband, Edward Slifka in 1964. She moved to Leadville in 1970 where she worked at the Outdoorsman on 9th Street and the Diamond Shamrock Gas Station. 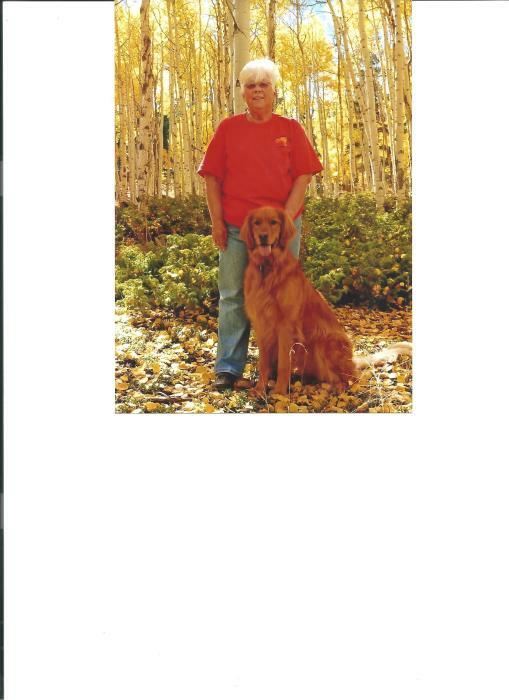 She eventually began working at Copper Mountain and retired after 20 years. Through the years Diana found her true passion with cross-stitch and eventually quilting. This passion came from her grandmother who was born in Sweden. She also learned to weave baskets, make stained-glass and loved embroidery. She has won many blue ribbons through the years and has left strands of love quilted and stitched in hundreds of projects she left behind for family and friends. Her art was sold at the Shooting Star Gallery in Twin Lakes for many years. She was also a member of the Monarch Quilters and Talk/Quilt/Laugh (TQL) groups. She enjoyed the Friday Night Happy Hours at the Gallery as well as nice margarita from The Grill. Everyone knew of her love for the Golden Retrievers and animals (except Spiders)! Mrs. Slifka was preceded in death by her parents and brother Glenn Gillespie. She is survived by her husband of 48 years, Edward; two children Carrie (Travis) Slifka-Willschau of Durango, CO Granddaughter Kendall and daughter Lori (Logan) Slifka-Myers of Buena Vista, CO. Niece Margo (Bob) Lopenske was also considered a third daughter in her eyes. Brother John Deitz of New York. Diana’s family came first along with her friends, quilting and her faith in the Lord. Her wish was to be cremated and spread in the forest that she loved. A Celebration of Life will be held at a later date. Friends who desire may make memorial contributions to the Ark-Valley Humane Society through Lewis and Glenn Funeral Home. The family would like to give a special thanks to Anita Mason for her kind heart, friendship and care during the last few months.